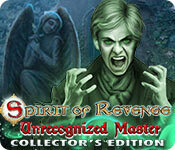 Spirit of Revenge: Unrecognized Master Collector's Edition is rated 3.4 out of 5 by 18. Rated 5 out of 5 by Majestyx12 from It all Started 1817 in Switzerland 200 years earlier it all started. Zoom forward 200 years and a husband is having visions from a ancestor. The wife wants your help. I'm Miss Gale. You have a mechanical helper bird you can name. 5 Chapters + Bonus. Collect 39 Morphs. Find Collectibles for a mini-game in the bonus material- Paint, Musicians and Actors. I liked the bird because you customize it for your needs. The scenes are beautiful. It has 20 hops. Rated 5 out of 5 by SparkleGlow100 from BEAUTIFULLY detailed everywhere & the HOPS are a pleasure to play ORNATE and detailed on the indoors, with gardens and mountains on the outside - very beautiful and atmospheric. I just lapped up all the scenes in this gorgeous looking game. For me, this is the best of the Sprit of Revenge games. The HOPS are full of lots of antiques and old bits n' bobs, with everything both lit and shaded, creating that still-life scene ambience. The music is great, the sound effects spot-on, and the character interaction is minimal, but absolutely nothing wrong there. Gentle-paced game. Rated 5 out of 5 by pcpat923 from THANKS FOR ALL THE PUZZLES! YAY! Toys have gone awry! A Spirit of Revenge fan i.e. 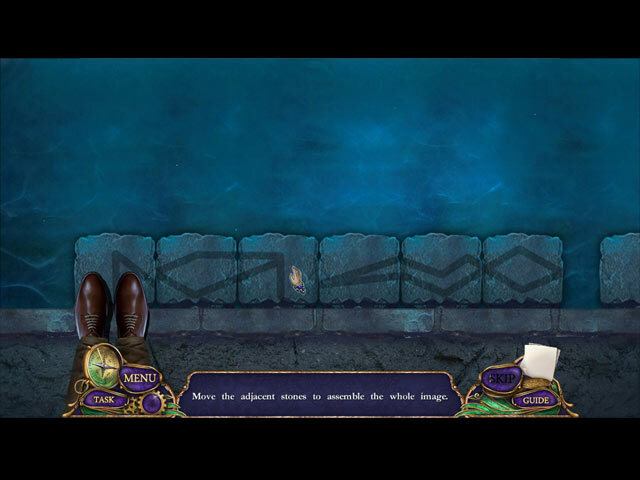 Cursed Castle and Elizabeth's Secret, Vendel Developers went through a lot of hard and tedious work presenting so many game puzzle and hidden object scenes--of which my previous reviews focus they're usually not enough. Also, devs have presented players with challenge--imagine that--which is probably why the undeserved less than stellar reviews. Have to play through this game's good amount of challenge. Also fell in love with the detailed artwork. Although not a fan of green smoke and villains knocking over furniture to assist in their escape, this is a purchase for me due to overall excellent game play! Enjoy! Rated 5 out of 5 by CasualGran from This game is funny and enjoyable to play Okay, maybe there's a little bit too much green in this game, but, on the other hand, these kind of colourful looks are common these days in casual games. aren't they, so you won't hear me complaining. I happen to like puppets very much, and I love little helpers in a game. If puppets aren't your thing, maybe this game isn't for you. But the game itself is excellent. Rated 4 out of 5 by dancemom1 from Nice collectibles... Hello friends! As always, I review mostly on the game play and leave the story to others to review. We have #6 in this series, no, I do not have them all either. This game has nice clear graphics for a change. Game play was excellent, with no problems during the demo. Colors are quite nice and bright. Voices are age and character appropriate, with emotion and not just someone reading a script. I noted that we cannot click through dialog if we read faster than they speak. Animation is excellent when it comes to facial movements, but the legs just don't seem to work in this game. The characters just sort of float in and out of the scene and don't actually walk, where some just seem to jump in your face. Weird. Music is soothing, but moves with whatever may be happening in a scene at the time. Sound FX aren't bad. We do have a bird helper, which I'm not too fond of. He's actually kind of creepy looking, but then, he is mechanical. HOPs are varied interactive lists and interactive silhouettes. The scenes are fairly clear and items are not difficult to find. Puzzles are a little different and well done. Some took me some time and thought to complete, but not all that difficult either. Didn't run across many HOPs or puzzles in this one, but enough. Hint system is quite helpful and we do have a transport feature for longer locations. The jump map is also helpful, but it is very bland and boring and not really needed for this game, except to see where the missed collectibles are hiding. Collectibles are many. We have "actors" figurines, which I haven't run a cross yet. We a lot of morphing items, which morph very slowly, so it is easy to miss them. We also have paint tubes, which open a special puzzles. Looks like we have three extra puzzles to complete in this one. We also have to find musicians. This is something else I didn't run across during the demo. The game wasn't bad at all and the story line was okay, but did seem to move a bit slowly, but it was easy to follow. I beta tested this a while back and I see that they did fix some "oops" in the game play. Even though there isn't much challenge, I sort of liked this one, and I especially like all the collectibles...the more the better. I think most players will find this one fun for one reason or another. Yes, I am adding this one to my collection of CE games, but I will wait for a really good special. As always, try if out for yourself and see what you think. We all have different tastes in games and you may not care for this one at all. Thanks for the reviews. Rated 4 out of 5 by Foster321 from FOR THOSE OF US WHO LIKE HELPERS This is a review of the reviewers: Although we value your reviews, there are those of us who DO ENJOY HELPERS in the game. It would be preferable to limit discouraging the developers from including helpers in their games!! We get it; YOU do not like them. Developers: please CONTINUE to use helpers in your games. We purchase your games because HELPERS are an ADDED bonus for us. P.S. There is merit in this also: Some of us simply want to play a game for the fun and beauty it offers as well as relaxation. (Every game does not have to be a challenge.) Those developers work very hard for our entertainment and they need to know we appreciate their efforts. Rated 4 out of 5 by Novella2 from A little bit different (in a good way) This is based on part of the demo. I found it to be a fun game and a little bit creepy. Not much of a review, I know, but another reviewer has pretty much summed it up. I intend to buy it. Give it a try. Rated 4 out of 5 by Sonseeahray27 from Same story as always but I still like it Beautiful graphics, not too much dialogue, same story as always in this series but I really enjoyed it so far. I don´t mind helpers, I think they are funny and this kiwi is really cute. Rated 4 out of 5 by rainworm from Beware of old toys We are shown a small town, a workshop, where people are manufacturing toys. A young man lays last hand on a well crafted puppet, when an attacker moves up and stabs him. He is dead, but the doll’s eyes begin to glow. 200 years later: the actual keepers of Rosen’s antique shop are Thomas and Emma Larsson. At an expedition in the shop’s showroom, Thomas presents an automatic puppet to the audience, which was a groundbreaking invention at the time, it was made. Suddenly the doll comes to life and Thomas seems to be obsessed with the spirit, that was set free. His wife Laura calls Miss Gale for help, as her husband acts strangely since the event, apparently believing he is his ancestor Finn Rosen. This is not the only problem. 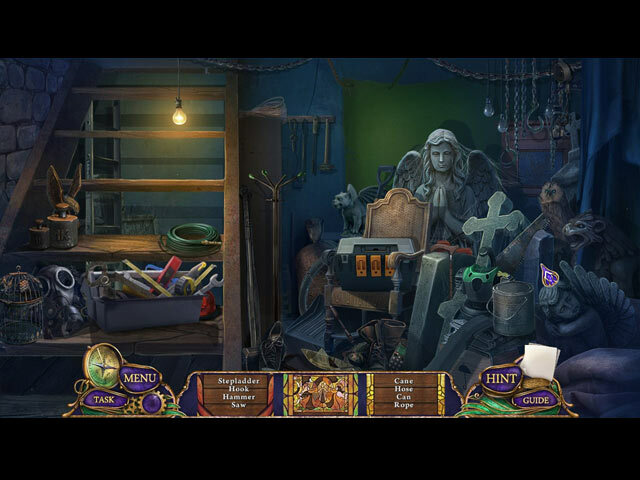 All antiques and toys, purchased in the shop, are coming to life and scare their new owners. 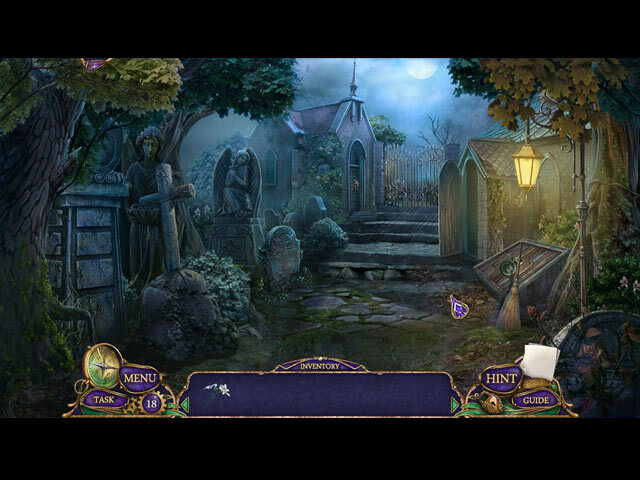 We play as Miss Gale, the detective. Our task: investigate, what is behind the restless spirit that has now taken possession of Thomas. At the Larsson’s house we witness Thomas’ strange behavior. Emma shows us the rooms, the place, where Thomas works. Very soon we are equipped with a helper, a robotic bird. It is not just delegated to us, we need to mount it ourselves, later it has to be updated with new parts, needed for the task. The nature of this helper goes with the restless spirit, present in the old automatic puppet. HOS are variable, often combined with mini-games. Puzzles are in part surprising: beside the ‘usual’ ones, there is for example a ‘park the car’ game. You have to manoever a van into a parking lot on a screen. There are collectables and morphing objects. Following the series theme, the story is about a spirit, finding no rest, and the old doll has in a way taken in the soul of his maker. There are pros and cons for me with this game. The story is not uninteresting, pace is quite fast, we have much to do. A con is the helper. I feel, the game would have much improved without it. Antiques from Rosen's Workshop are coming to life!